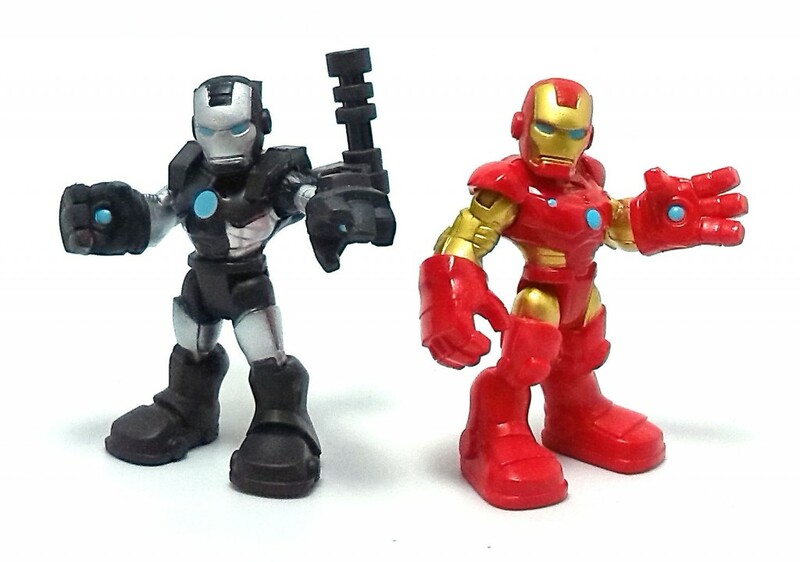 And for something slightly different, today I’ll be reviewing a couple of Playskool action figures: The Iron Man & War Machine set that was released early in 2014 and includes completely new sculpts for both characters. 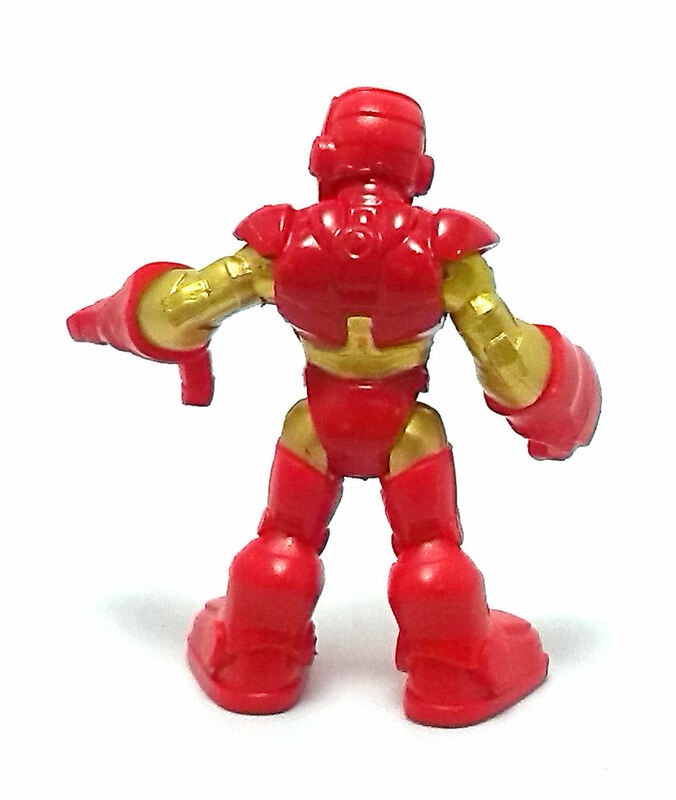 Iron Man has been done already several times in the Playskool range, including repaints, but this time around the armor selected is reminiscent of the Heroic Age-Modular- Bleeding Edge design, which is a nice variation. 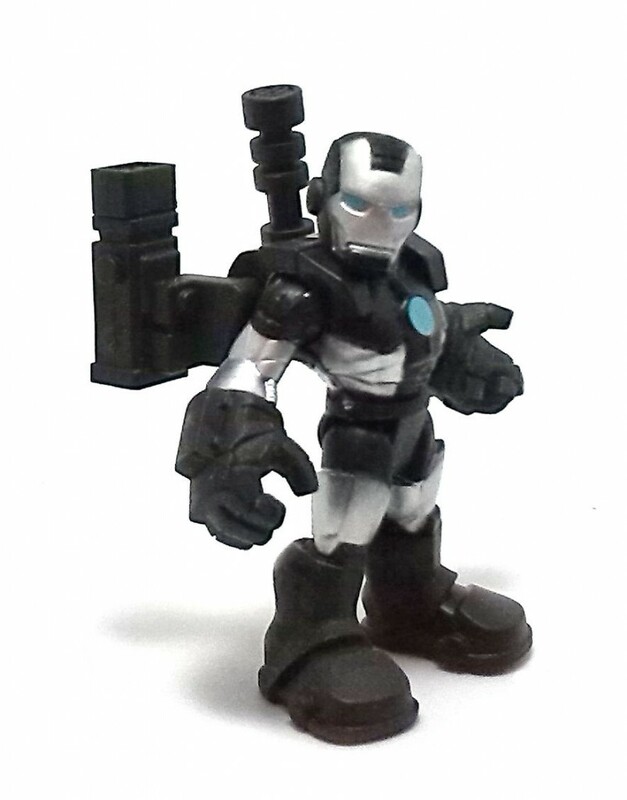 War Machine, on the other hand, is a first in this line, so I was quite curious about the way they implemented the extra weaponry. Both characters are sculpted in a very simplified style, although each still has a nice amount of detailing going on. 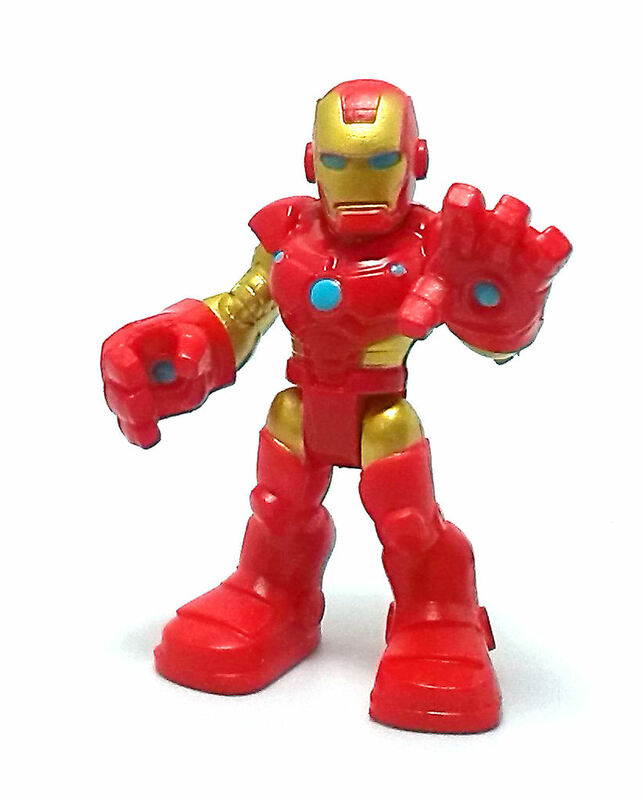 Articulation is very similar in both characters and consists of Pegged hinge shoulders, swivel necks, swivel wrists and swivel hips. 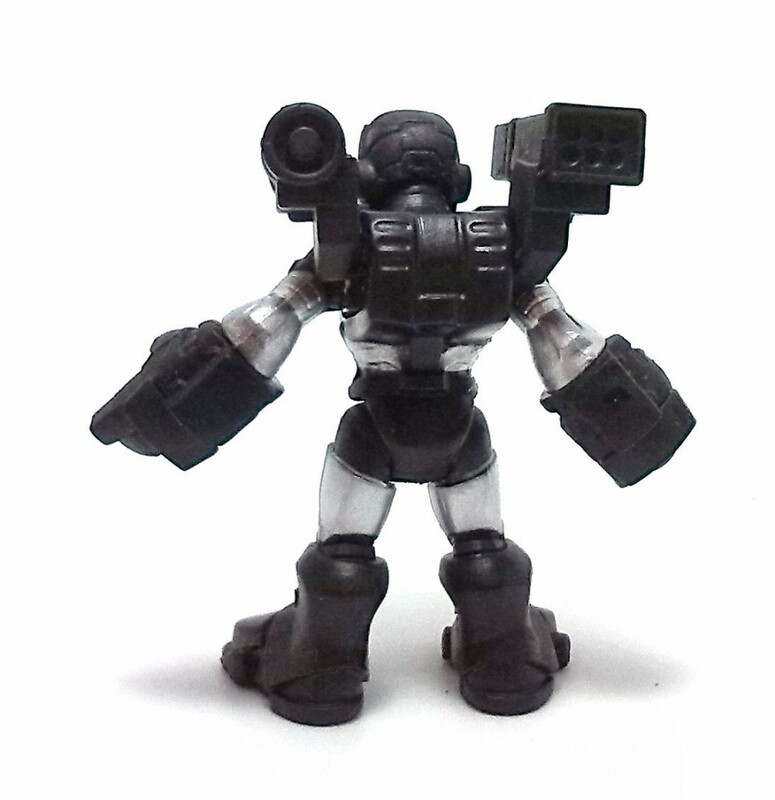 As usual, with these figures, the legs are molded as one single piece, so they can’t move independently from each other. 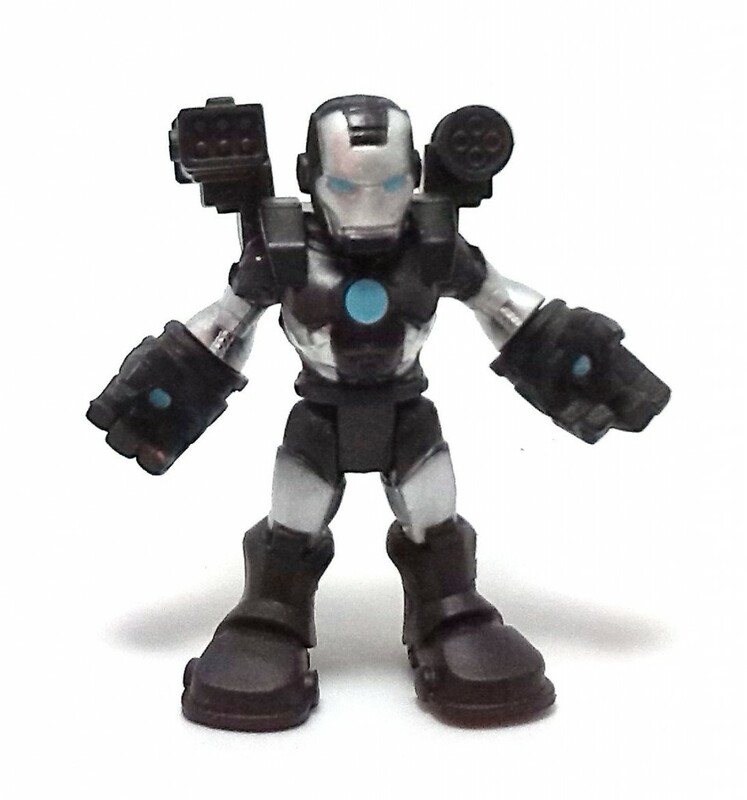 War Machine has one extra articulation point on his back to swivel up and down his weapons. The whole array swivels up and down without affecting the balance of the figure, which is always a good thing. 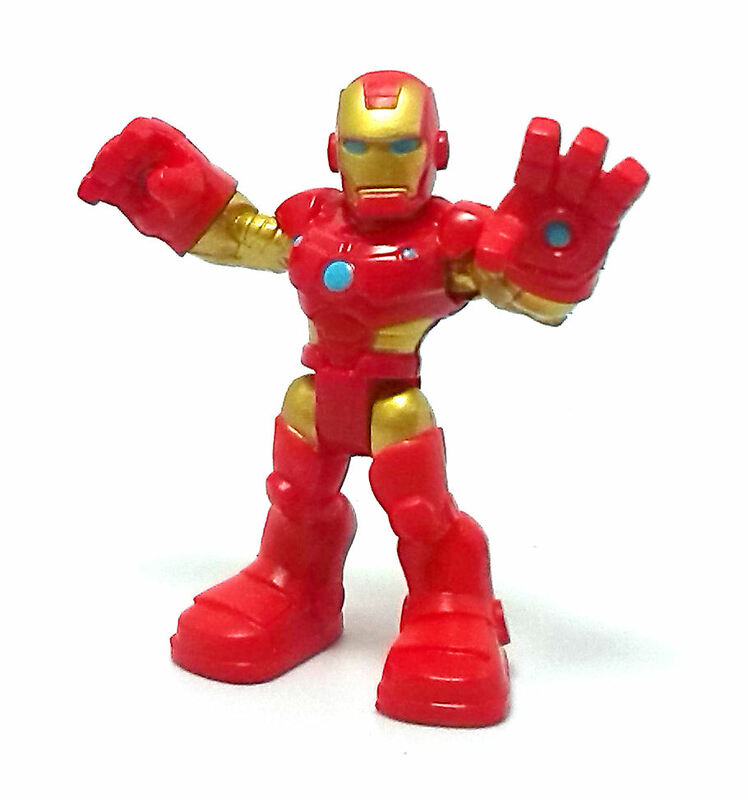 These may not look like much, next to other types of collectible stuff, but I find them to be quirky and funny, with the added bonus that they tend to be widely available and inexpensive.